Ausclimate have teamed up with international world leading manufacturer WINIX to introduce premium high performance Air Purifiers to the Australian market. WINIX is a world leader, renowned for producing only the best quality – high class, yet affordable Air Purifiers. These models combine the advanced purifier features of Set & Forget, Smart Sensors & Dust/Odour Sensors, along with our superior filters featuring unique PlasmaWave technology to neutralise harmful viruses, bacteria, odours, chemical vapours & gases – leaving only fresh, healthy air in your home. WINIX PlasmaWave technology creates positive and negative ions (no harmful ozone) that form clusters neutralising harmful viruses, bacteria, odours, chemical vapours and gases. Ausclimate are incredibly excited to launch this new range at very limited introductory (pre web-launch) special prices for over-the-phone purchases. Take advantage now as these prices will only be available until our WINIX air-purifier web-site launch in September 2015. Remember, no expensive filter replacements – maximum price filter cartridge set is just $140/year. Have confidence with your WINIX air purifier to protect you and your family’s health with clean & healthy air. Get in touch with your Ausclimate expert for further information & make your purchase over the phone today. 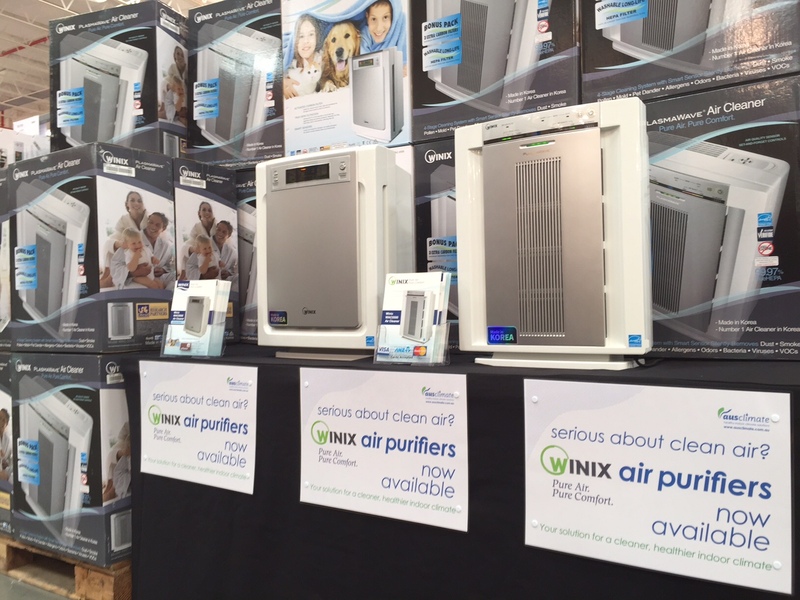 Categories: info articles, news | Tags: air purifier, air purifier australia, air purifier brisbane, air purifier melbourne, air purifier nsw, air purifier sydney, ausclimate purifier, ausclimate winix | Permalink. Are these air purification systems, mobile or are they installed onto a wall? Hi Rosemary. Our air purifiers are portable, suitable to take from room to room & light-weight. Please give us a call or email for any further detail. Thanks!